Spring semester, I had the honor and pleasure of advising undergraduate students who are in their first or second years of college at Georgia Southern University. Though several of them came to their fifteen-minute advising appointment extremely well prepared, most did not. Below, you will find a list of ten things NOT to do when you are being advised. Come in and say, “Okay, tell me what I need to take next semester.” Whatever happened to being responsible for your own learning? Make excuse after excuse why you have withdrawn from class after class — and still expect that a professor might give you an override to get into a full class. Yes, there are definitely some reasons to withdraw from classes, but when it becomes a habit, it begins to reflect poorly on your ability to manage your schedule. For every class from which you withdraw, there probably was another student who wanted to get in before the semester started, but could not because the class was full. Don’t look in the online college catalog to see what will be required for your major; expect your advisor to know all the details off the top of his or her head. It surprised me that several students “knew” they wanted to major in a certain subject, but did not have any idea what courses would be required for the major, or that a certain GPA was required. Don’t check out the online registration service in WINGS to see when your earliest registration date and time are. Find out when your registration time is, and make your advising appointment before this time, so that you can register at the earliest possible moment. Many classes fill quickly, and the earlier you can register, the more likely you can get in. Expect your advisor to be able to counsel you on which major you should choose AND help you choose classes for next semester, all during your allotted 15 minutes. Choosing a major is an important, perhaps life-changing, decision. Make an appointment with a professor or advisor in the majors you are interested in far ahead of the advisement period. Give your advisor a blank stare when he or she asks you, “So what steps are you taking to bring up your grade point average?” As the old saying goes, “If you do what you’ve always done, you’ll get what you’ve always gotten.” Many majors have minimum GPAs required for admittance to their programs; make a plan to exceed that minimum by as much as you can. Utilize the many services your university has to offer for study skills, tutoring, etc. 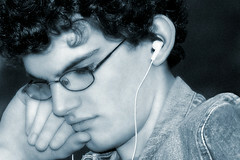 Respond to text messages while your advisor is talking. Come on, the appointment is only 15 minutes. Couldn’t that wait? And if it couldn’t, would it be so hard to say, “Please excuse me for just a moment. There’s something urgent I need to do”? Leave your iPod earbuds in your ears so you can continue to listen to your music (and use your pencil and pen as drumsticks on the desk) while the appointment is going on. Seriously. As a 20-year career educator and parent of four, I don’t shock easily, but the rudeness of this took me aback. And it happened not once, but twice, with two different students. At least neither of them hesitated at complying when I asked them to focus on our meeting rather than their iPods. Now, it probably sounds like I don’t ever want to advise students again. Not quite. . .
A young woman walked up to me confidently, put out her hand to shake mine, and said, “Good morning, my name is Katey. Thanks for meeting with me today.” She and I walked back to my office, chatting about where she is from and why she chose her major. Katey sat down, reached into her backpack, and took out her planner. She turned to a page where she had marked up the core requirements sheet with classes she’d already taken and highlighted those she was considering for the next semester. Katey turned serious when she noted, “I know I need to take the second English class in the series, but I looked online, and the classes are already full.” Hmmm. This was intriguing! She had done some significant preparation for this meeting. We worked together to come up with an alternate plan that took into account what to do when Plan A wasn’t going to work. We looked ahead to required courses to her major and selected two that are prerequisites for many other courses. We briefly discussed how she could get involved on one or two campus organizations related to her major. And the whole meeting took less than ten minutes. If only there were more Kateys! Maybe there can be if students can know what to expect of the advising appointment. For another “what NOT to do,” see How to Fail a Class Without Really Trying. Think about your freshman year in college. Write a sentence about it. Count the words you have written. Edit the sentence until you have 25 words exactly. Notice how your idea changes as you edit and how your feelings change with each rewrite. 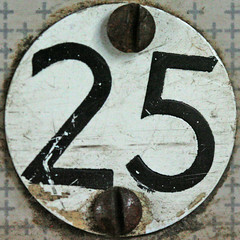 Post your 25 words as a comment to this blog posting OR on your blog by July 31st. Oh yes, if you have some wonderful thoughts and can’t make it fit into 25 words, that’s okay, too. I’d still like to know what they are. Simply comment below. No worries.